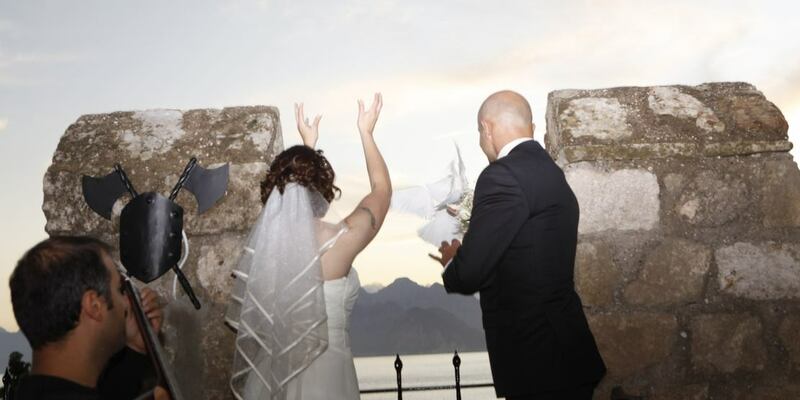 Antalya accepts wedding groups from all over the world with great interest and care. Wedding tourism in Turkey is supported by the state. Antalya, which is a city on Mediterranean coast, is a very important world tourist city. Residents of the Scandinavian countries go to rest in warm sunny countries, as winter period lasts long in their homeland. Citizens of Norway, wishing to spend their holidays in a hot sunny country, also want to spend their weddings on the Mediterranean coast in Antalya. Our company Wedding City Antalya is an international wedding operator that has experience and knowledge in making marriages and weddings for couples from Norway. Contact our company and we will inform you about the requirements of the state agencies for registering the marriage and the documents that need to be prepared for marriage in Turkey. The filing of documents with the marriage registration authorities in Turkey Antalya takes only half a day. Our company brings an official marriage registrar to the hotel where the wedding ceremony is held.